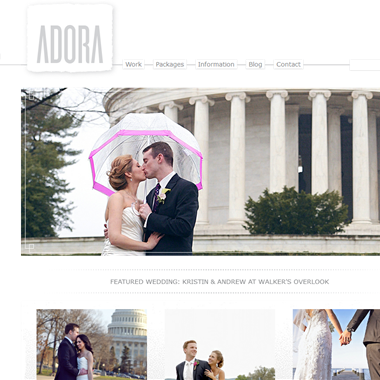 Select photos you like; we'll recommend wedding videographers in Washington DC Try now! "I want you to be able to remember the day, but if I'm being honest, my only mission is to make an awesome piece of art for you. It's fun for me, it's fun for you." 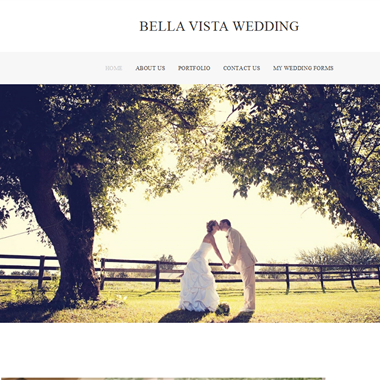 "Bella Vista Wedding holds to its core values of integrity, quality service and customer satisfaction. 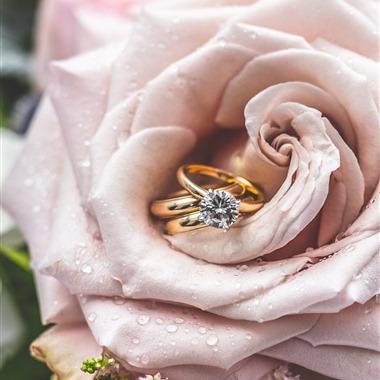 Impeccable attention to details is what we provide to obtain the perfection that our clients deserve Our objective is to remain unobtrusive and capture authentic footage that remains true to the event. 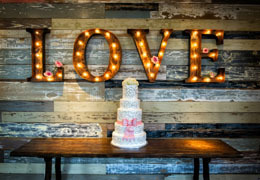 Your wedding and event is as important to us, as it's for you." 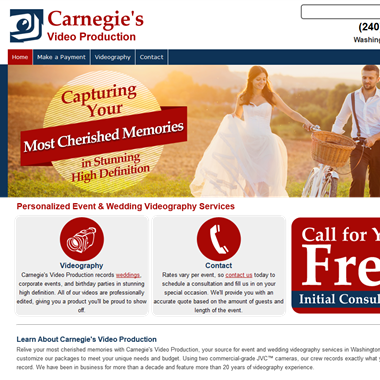 "Carnegie's Video Production records weddings, corporate events, and birthday parties in stunning high definition. 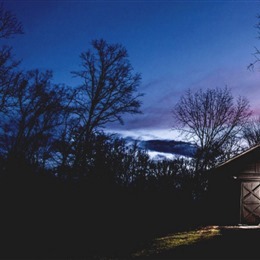 All of our videos are professionally edited, giving you a product you'll be proud to show off." 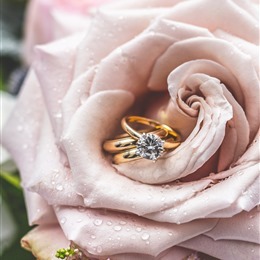 "We strive to produce wedding films that uniquely reflect the couples who are featured in them as well as capture the excitement and feel of their special day. For that reason, you’ll notice that no two videos are alike. We love what we do and are so happy to be able to capture these special moments for our couples." Slogan: It's our job to capture your moment. 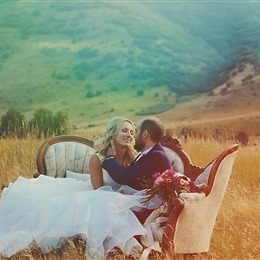 Sea Monstrosity Pictures, run by video artist Chelsea Alderman, specializes in wedding videography that makes brides and grooms look like movie stars while being as non-obtrusive as possible. 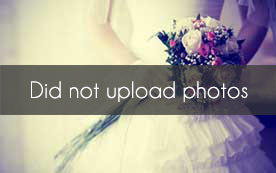 We capture the spontaneity of the event photojournalistically with a unique and colorful cinematic polished look.